Collecting and using stats in sports can be like flossing. Doing it all the time sounds like a hassle, even though the pros keep saying how useful it is. Getting started can be a bit painful and intimidating. It can be hard to see the benefit until you've made it a habit. But once you make it a habit, it won't let you down. Incorporating stats into our practices and competitions can seem daunting if we think that using them means using all of them. We should find what level of analysis is useful for our particular level of play. Usually simple, descriptive stats are the best place to start. Simple stats are typically those that only tell us about a single action rather than either multiple actions or one action's effect on another. (An assist is a bit of a gray area here since it depends on the outcome of the next action in order to define it. Nonetheless, it is still fairly easy to keep but it illustrates the point.) Descriptive stats are those that describe the actions that have occurred, contrasted with predictive stats that are designed to predict what is likely to happen next. While we can consider descriptive stats to give us an idea of future performance, they still ultimately only describe what happened in the past. Once we have decided on a few stats to keep, we should decide who will record them and how they will be collected. Where possible, I like having players keep simple stats but there are several different stats that I have kept track of personally while coaching. It is important to me that any stats that I or my assistants keep be unobtrusive so that they are informing what we are doing as coaches rather than being all we are doing as coaches. The same is fairly true of the stats that I have players keep. I want the stats to keep players engaged in what is happening in practice or competition but not so much that they prevent the players from still being a functional part of the team. I have created several different stat sheets that players can use easily during practice or competition. Players can easily pass them off when they need to enter a game or drill so that they can still be athletes and team members and don't become de facto statisticians. A word about having players keep stats: if we teach them what we are looking for and why it matters, they will do a good job. I think that this makes keeping stats just like any other skill we train. I have had eleven and twelve year-olds keep reliable stats because they were taught how and why. It is important that we spend time working together so that they understand what they are looking for and how to accurately record that information. Teaching them why it matters leads to the crux of using stats. Stats are evaluations of our performance so they are often feared. I'll use the words of Douglas Stone and Sheila Heen to explain a bit more. If we are to get our athletes to buy in to how we are using stats then we must use them in ways that minimize the negative judgements. This is the crucial part of incorporating stats, how we use them once we have them. I believe that there are two parts to showing the value of stats. If all we do with stats is use them to say that one athlete or performance is good and another is bad, we are unlikely to get the buy in we want. We need to connect the evaluation to coaching. If a performance was inadequate, what caused it to be that way and how do we change that process? Is it something technical? Is it incorrect understanding or implementation of necessary tactics? 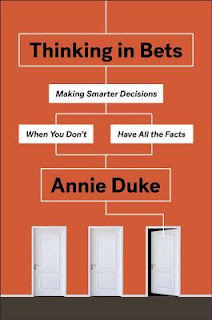 Does decision-making need to improve? How can coaching bring about those changes? It is much easier to move on from judgement if we see a clear path for improvement. In addition to evaluating individuals on a team, stats evaluate the team as well. To prevent allowing our athletes to assume that we think poorly of our team, we need to show them another clear path. We should talk about the stats as means to an end rather than ends in themselves. If we know that executing a skill at a certain level correlates strongly with winning, then we can tell the team that we need to get better at that skill so we can put ourselves in better position to win more often. We can frame our talk so that we are talking about making winning easier instead of allowing thoughts that we are losers. Stats are so much more than a way to give praise or fix blame. Stats are ultimately tools that we should use to inform our coaching and training. If we treat them that way then our athletes will too. The book quoted above is one of my favorites and a book that strongly influences how I coach and how I interact with people. I mentioned it in my coaching framework and it makes continuous appearances in my posts about interacting with others. I highly recommend it. If you don't read it, I will be forced to read it yet again to make up for your loss.